Our team of skilled roofing technicians offers shingle roof repair for property owners throughout the Concord area. Most residential properties throughout the country have shingle roofs. Shingles are economical and durable, yet look visually appealing on just about any style of home. There are a number of colors and styles available, offering more customization and flexibility options for property owners. However, shingles will start to wear out over time, leaving gaps or exposed sections on the roof. 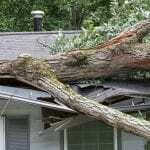 After a big storm, you might notice pieces of shingles on the ground around your property. These warning signs all indicate the need for shingle roof repair. Ignoring a problem with your roof can quickly become much worse, leading to issues like energy loss and waste, water damage, and an increase in the number of insects and pests within your home. Instead of putting off the repair, give us a call at JM Reynolds Builders, LLC to learn more about shingle roof repair. We’ll talk to you about your options and provide you with a fair price to repair your roof. By having the work done sooner, you can reduce the risk of more serious roofing problems. You might worry about the cost of shingle roof repair, but it’s typically cheaper to pay for smaller repairs than it is to replace the entire roof due to significant damage. Our team of skilled roofing technicians offers shingle roof repair for property owners throughout the Concord, North Carolina area. The owner of our company has been in the roofing industry for over two decades, so you can trust that we know what we’re doing when we handle repair work. 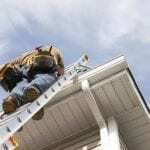 At JM Reynolds Builders, LLC, we offer shingle roof repair services in Concord, Kannapolis, Charlotte, Salisbury, Mooresville, Huntersville, Granite, Quarry, Davidson, and Paw Creek, North Carolina.